A minstrel song from the days of the Erie Canal in New York. 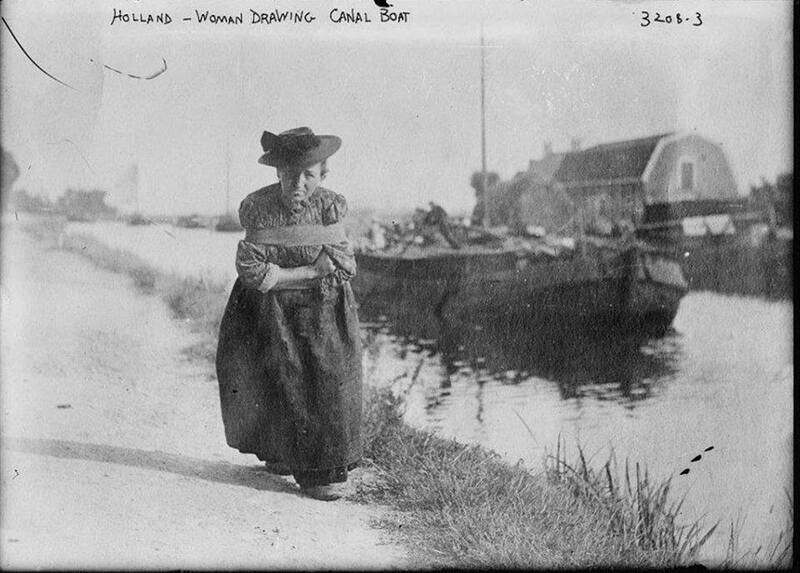 A Dutch postcard from the 1910s? Instead of a mule, I guess the wife took a turn… I don’t recommend today! On the towpath, kickin’ dirt. The off-mule she was dead. So we cracked him on the head. And the crew are all in jail.